Beautiful 2 bedroom 2 bathroom Condo with over 1266 sq/ft of living space in Arrow Point Resort located on Lake Coeur d'Alene just 15 minutes from downtown Coeur d'Alene Idaho. Fully Equipped Kitchen; microwave, dishwasher etc. Indoor pool, outdoor volleyball, great beach access, large lawn area, shallow swimming area for kids, large marina (daily dock privileges/extra fee) Elevator and underground parking. 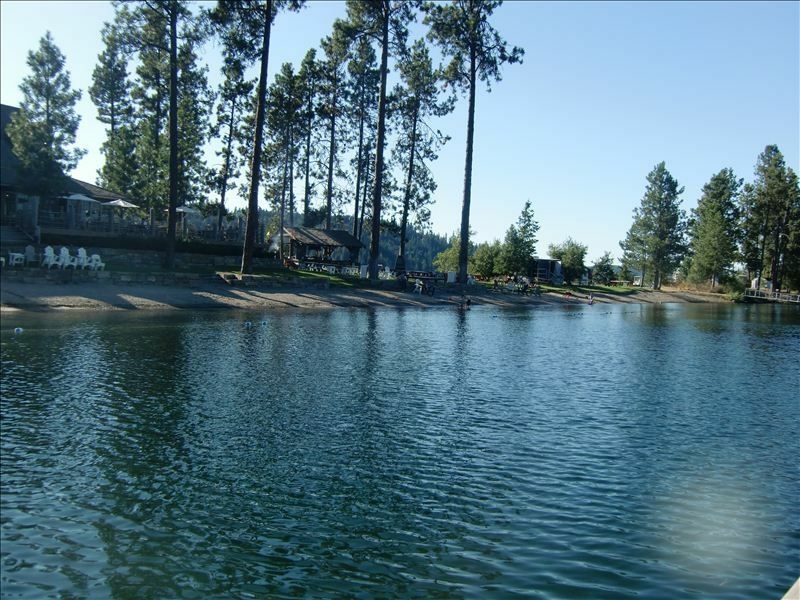 Golfing, fishing, Hiawatha Trail for incredible bike rides, parasailing, jet skiing, Silverwood Amusement Park, Coeur d'Alene sightseeing etc. Active Family with two teenagers that have enjoyed Lake Coeur d'Alene for years. We love this lake and area plus all it has to offer. The resort is great for kids of all ages and it's also a quiet romantic spot for couples. Love the lake and also the amenities at this resort. Coeur d'Alene ID is a very quaint town with a wonderful touristy vibe. We enjoy the beauitful views of the lake and sitting on the covered balcony enjoying the sunset. Our condo is very nicely appointed, all you need to bring is your suitcase and your groceries. The condo was exactly what I was looking for. The view was beautiful as well as the condo itself. We had everything we needed to enjoy our stay. There were deer outside our door as well as running and playing through the common area. The condo and the landscape in which it sets is absolutely breathtaking. Everything in the condo was very clean and organized. We didn’t have to bring or buy anything except for food obviously. Shelia was an exceptional host and really helped us out in a tight situation. I hope to spend many more vacations at her condo. Definitely would recommend this to anyone seeking a large cozy condo in a beautiful area. Very beautiful and serene setting. We found a very relaxing. We enjoyed our stay at this great condo. It was well appointed and had everything we needed. Close to the lake, with beautiful views from the patio. We would go back again in a heartbeat. Badminton and Beach Volleyball. Boat slip rentals available. Boat Rental and Lake Cruises.